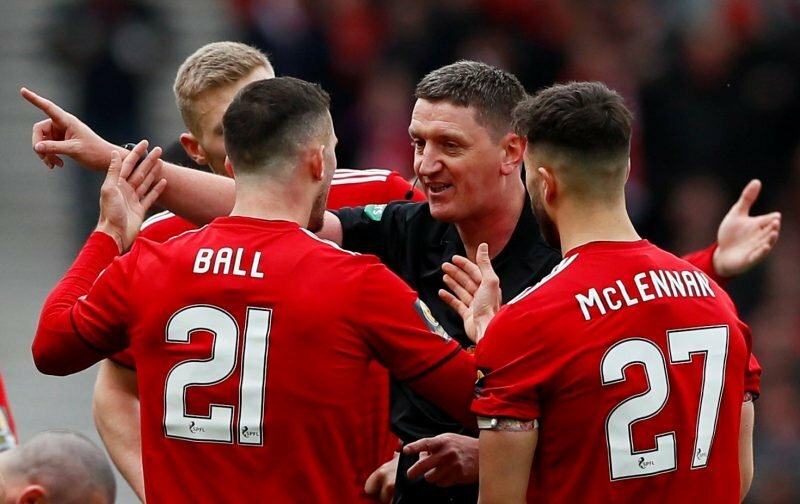 Ryan Christie has posted a gruesome picture on Instagram showing the full extend of Dom Ball’s challenge that brought his part in the Scottish Cup semi-final at Hampden to a halt. With his left eye fully closed, cheek swollen and nose bloodied there is no need for any explanation about the damage done which earned the Aberdeen defender his second yellow card of the game. Since the incident there has been a great deal of debate about whether Craig Thomson made the right decision. There is no doubt that Ball didn’t go over the top in the same way as his team-mate Lewis Ferguson did on Tom Rogic but the former Spurs defender was never going to take the ball cleanly with his head. With Christie heading the ball his opponent arrived a split second later with the point of contact obvious from the picture. The full extent of the damage has still to be uncovered but even with six weeks to go it must be odds against Christie being fit to face Hearts in the Scottish Cup Final back at Hampden.